Media Connection Advertising has experience in special events and special projects from offsite trade shows to the manufacturing of iconic products that represents your brand. 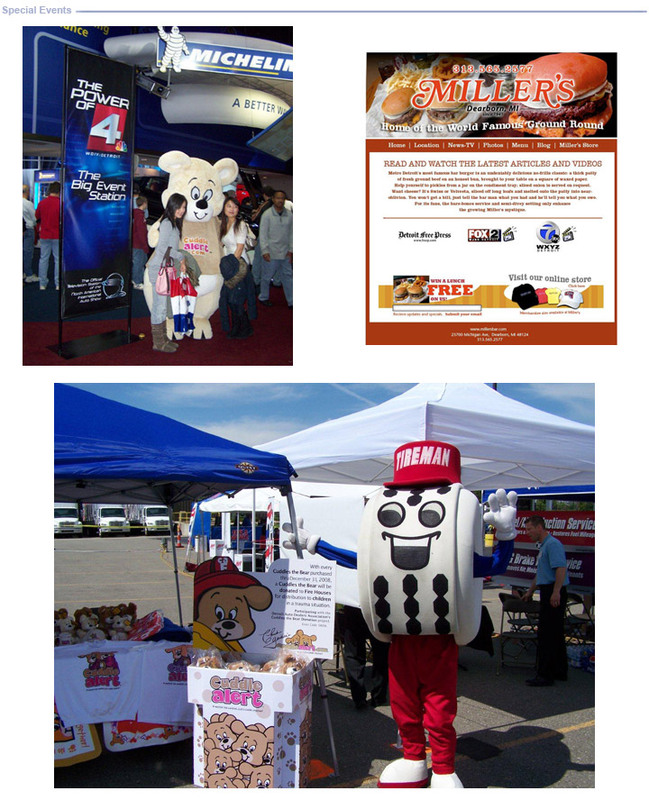 Media Connection Advertising designed and developed the Cuddle Alert Bear for NBC/WDIV Weatherman Chuck Gaidica, along with the bigger than life size Cuddles the bear. Media Connection Adverting has be instrumental in providing Belle Tire over the past several years with the famous branded icon the Tireman Beanies. The Tireman Beanies have a voice sound chip inside them and when squeezed the say : Bell Tire just as it is heard on Belle Tire radio and TV commercials. The Belle Tire beanies are passed out as premiums at special events.